Are you ready to ride with your family in Philly? Looking for a new setup? Want to meet families and kids who ride? Want to win a RELoad bag, Strider Balance Bike, or a Nutcase Helmet? Just love cargo bikes? 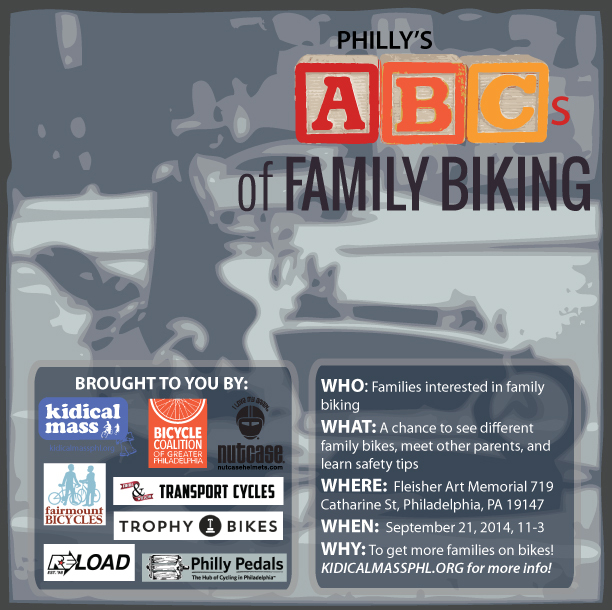 Join us SUNDAY SEPTEMBER 21ST FROM 11-3PM AT Fleisher Art Memorial’s Parking Lot for Philly’s ABCs of Family Biking.